YAY, took me all week to post this, but finally I get to show you my little dress for a darling little one year old! The fabric is (more than likely) an 80s print bedsheet, and I followed a little vintage children's pattern, but I couldn't find it to show you. 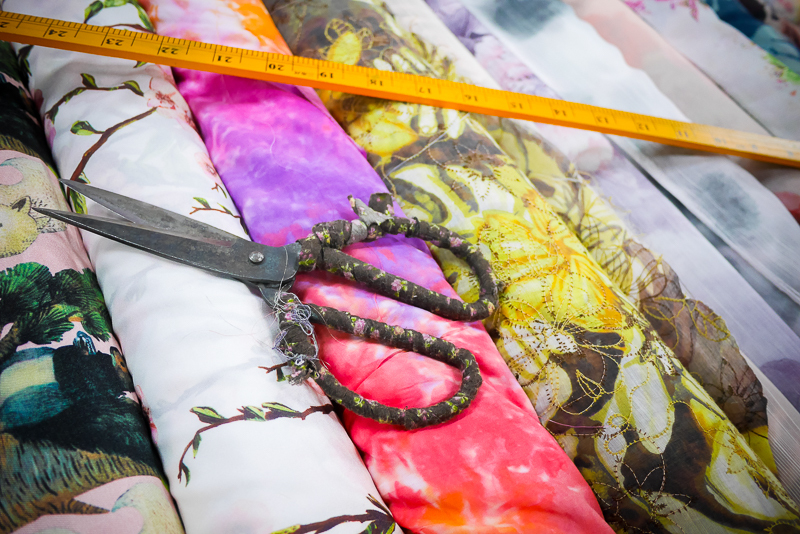 So many things are lost in my sewing room, one day all will be well there! I have taken some 'before' photos to get myself in the mood. The times I've been in children's clothing stores (now that I have a child), I'm a little wary of all the styles, colours and just how boring the clothing choices are. The boy section is very limited in style choice, not to mention colours. And I don't really like prints, graphics or words on clothing, so I'm kinda grossed out by the 'builder' and 'car lover' types of clothes in the boys section. Now the girls section (perhaps if I had a girl) would also gross me out because there's a LOT of frilly & pinky stuff there... but there's a lot more variety in style (than just jeans/cargo pants & tshirts choice for boys) especially in the onesies (and yes, he's a baby so I still dress Baby Darling in onesies. So cute) in the girl department. AND, FFS, I'm not even in the market for new clothing for Baby Darling, as we have mostly handmedowns YAY! But, just my observations... and so when I'm going to make clothing for children, I'd like it to be interesting & unique. 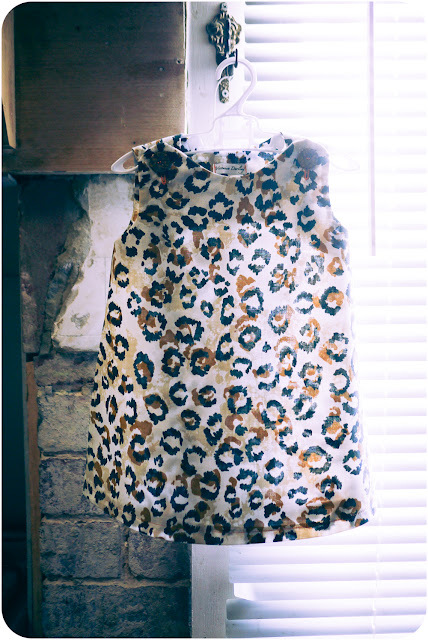 So this darling little frock (that's very Pebbles-esque, don't you think?) 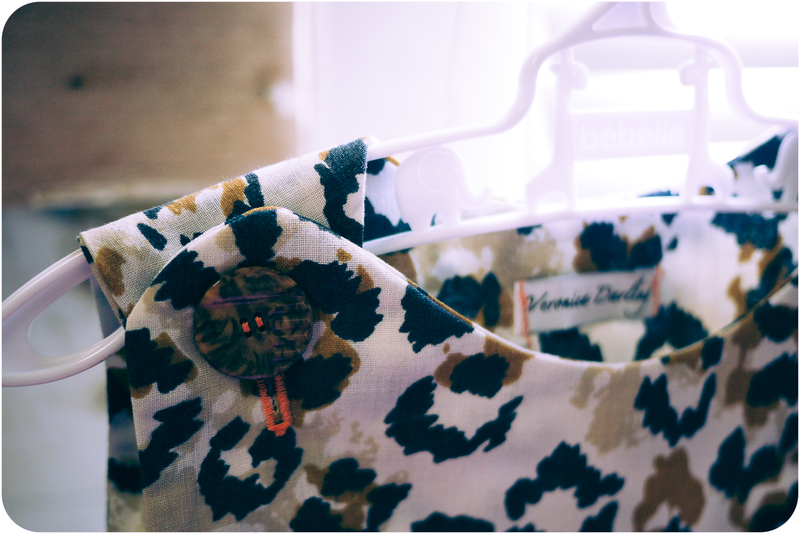 is to be the beginning of my Baby Friendly Fashion... Yep, I want my creations for babes to never be boring. And even though some people might thing brown fabric for a girl is boring, I think it's delightful with the vintage buttons, and orange stitching! Unique! My friend's child got 3 compliments in 15 minutes from wearing the dress, so I'm extremely pleased with how this one turned out! 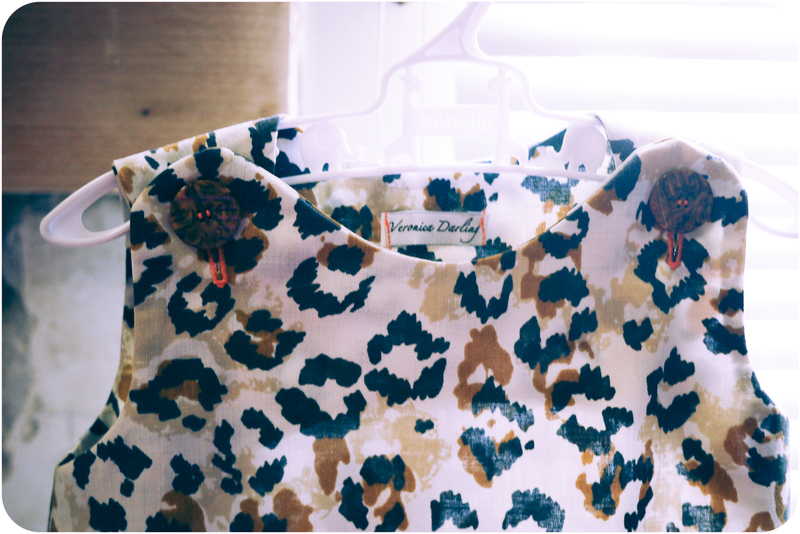 I think my sewing mojo is back with animal prints! It's a very cute dress and unique, as you say. I really agree with you regarding baby and children's clothing and gender division. I was out looking for some clothes for our unborn baby and it was hard finding something that would work for both a boy and girl, most clothes scream "I'm a boy!" or "I'm a girl", or are ridiculously expensive. There's going to be a very cool one year old rocking that dress! This is so cute! I like to make funny clothes for babies (like Hawaiian shirts), and this totally fits the bill! 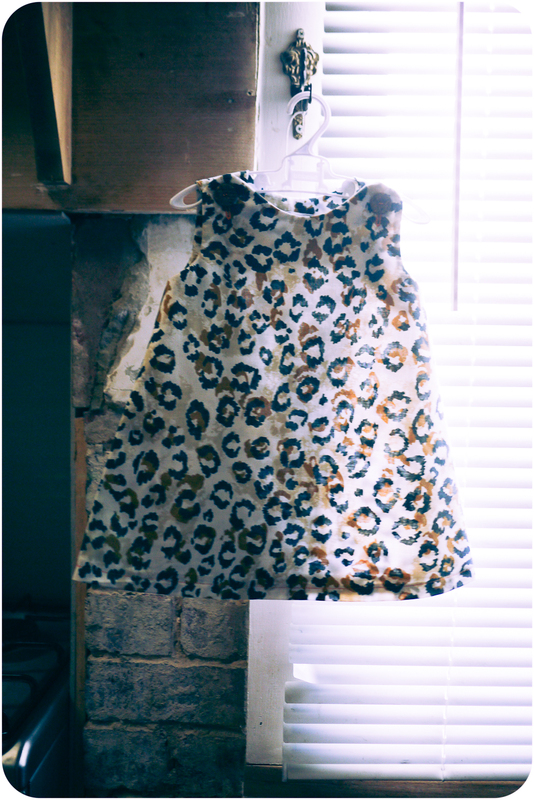 She's going to be one cool gal in this bangin' dress! Aw will you look at that? it's adorable. Cool kid alert.